Norr knives represent timeless Scandinavian design combined with quality materials that are made to last. 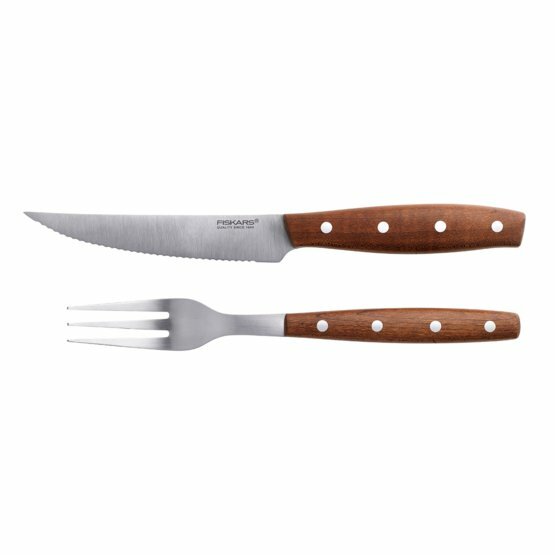 Norr Steak set is ideal for barbeque meat, steaks and roasts. High quality stainless steel, hand-polished edge for maximum sharpness. Handmade handles from Sucupira tree ensures good grip. FSC certified.